An infant’s diet is monotonous. Duh. This is not an earth-shattering way to begin an entire blog series. But let’s take a minute to consider the implication here. Young infants consume ONE food, which is formula and/or breast milk. One food…. All day…. One food to meet all of their fat, carbohydrate, protein, vitamin and mineral needs. In short – we better get this food right! Similarly, unhealthy ingredients in this food (even at very small concentrations) can add up to a very large exposure, considering the volume consumed over time. For an analogy, consider you eat a delicious apple from your local grocery store. Unbenounced to you, there are traces of pesticides on the apple which aren’t very healthy for you. This is fine because this is only a tiny amount and you only eat one apple. It would likely still be fine if you eat one of these apples every day. BUT, what if all you eat are these apples? You eat several apples for your breakfast, your lunch, your dinner, and a few for snacks. Well, now that minuscule pesticide exposure may start to be of concern. See what I mean? We’ve got to get an infant’s diet right! A second point to understand is that infants are more susceptible to dietary exposures than older children and adults. Their little intestines are still developing and the spaces between the cells that line the intestinal wall (known as “tight junctions”) are not so tight in newborns. These spaces between intestinal cells do not fully close until several weeks after birth and the infant intestinal tract is not considered mature until about 1 year of age. This means that exposures in the diet (like the pesticide in our apple example) can actually wreak much more havoc in the infant intestine than the adult one. Also, all of the other internal organs of a newborn are continuing to develop and mature at an extremely rapid rate. This makes these organs susceptible to insults that can come from a sub-optimal diet. This idea is referred to in the scientific community as “postnatal programming”. If you want to read more, I have published a scientific review article on the topic as it relates to infant’s risk of developing obesity later in life (1). 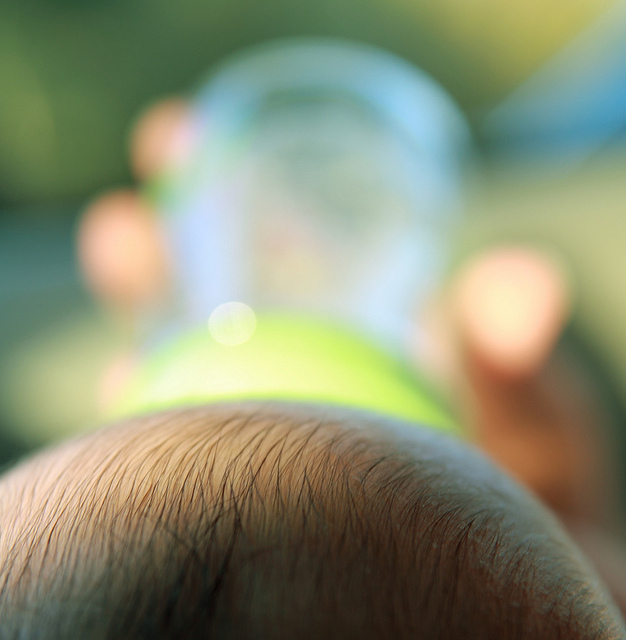 With all this in mind, I’ll copy-and-paste: We’ve got to get an infant’s diet right! 2) empower parents to feel confident that the formula they have chosen is the best choice for their individual baby. Up next, I’ll tell you how and why we have decided what goes in infant formula and explain how we’ve both come so far and yet have so far to go. 1. Young, B. E., Johnson, S. L., and Krebs, N. K. (2012) Biological Determinants Linking Infant Weight Gain with Childhood Obesity: Current Knowledge and Future Directions. Advances in Nutrition 2012; 3: 675-686. This is fantastic Dr. Young! Just the resource I’ve been looking for! Thank you!